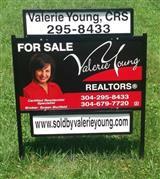 "Valerie Young is a terrific Realtor! She assisted us in pricing our home for the market. She has an impressive marketing plan and track record. She sold our home quickly. She is positive and caring; we have recommended her to our friends and family. They have all had a pleasant, positive experience with her." –Kelita & Randy D.
"Valerie helped us in the purchase of our first home. She guided us every step of the way. She made the buying process simple for us. We can’t thank her enough for all that she did for us." –Jamie & Karen R.
"Valerie Young sold my mothers estate for me in 2012. She knew exactly how to handle the sale even with the complications that were involved. I will never forget her for the exceptional job that she did and I can not thank her enough." –Becky J. "Valerie not only found our dream home, she introduced us to the additional professionals we needed to get to a quick closing. As far as we are concerned she is our Realtor for life." –Gary & Louise W.
"Valerie is the hardest working Realtor that I know. She is very professional and knows how to get the job done!" –J.M. "Valerie is licensed in both Ohio & WV. She was able to sell our home in Ohio and then we worked with her to purchase our dream home in WV. We were thankful to work with one agent on both transactions!" –Gary C.
"When Valerie sold my home she provided me with the best & most aggressive marketing available. She knew the importance of a quick sale. My home sold in less than 30 days and her negotiating skills allowed me to get top dollar for my home!" –Dan T.
Courtesy Of Valerie Young Realty, LLC. Are you thinking of buying a home in the Mid-Ohio Valley area? Finding the right home can be a difficult process but no matter what you are looking for as an experienced Mid-Ohio Valley real estate agent I can provide you with the resources you need to make the home buying process simpler, from specific Mid-Ohio Valley neighborhood information, to tools to estimate your mortgage payments, and buyer resources and articles that will help you through the home buying process. Thinking about selling real estate in the Mid-Ohio Valley area? No matter which market you're in, you can use the marketing programs and experience of a qualified Mid-Ohio Valley real estate agent like me to help sell your home quickly and at the right price. Learn more about my service, see information about recent home sales in Mid-Ohio Valley, or contact me to get started today! Are you interested in more Mid-Ohio Valley area details? Please take a minute and browse my local neighborhood and school details, real estate mortgage information and interactive maps for the Mid-Ohio Valley market. Thank you for visiting www.soldbyvalerieyoung.com! 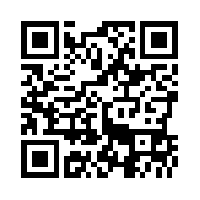 This is a one-stop real estate website for all your home buying and selling needs in Mid-Ohio Valley. I’m a professional real estate agent who will help make your search for a new home an enjoyable experience. Please feel free to contact me directly if you have any questions about the Mid-Ohio Valley real estate market, or buying or selling a home in Mid-Ohio Valley.